Charles (Charlie) Jones was born in Troedyrhiw on 12th December, 1899. He joined Cardiff City in 1920 but after playing in only one first-team game he moved to Stockport County. In his first season with the club he helped them win the Third Division North championship (1921-22). In March 1923 Jones joined Oldham Athletic in the First Division. However, he failed to prevent them being relegated at the end of the 1922-23 season. Jones scored 5 goals in 56 games before joining Nottingham Forest in 1925. Jones had developed into a skillful winger and was selected to play for Wales against England on 1st March 1926. Jones had a great game in his country's 3-1 victory. In May 1928 Herbert Chapman paid a four-figure sum for Jones. Soon afterwards Chapman signed David Jack, Cliff Bastin and Alex James. They joined a team that included Herbert Roberts, Eddie Hapgood, Tom Parker, Bob John, Alf Baker, Dan Lewis, George Male, Jimmy Brain, Joe Hulme and Jack Lambert. Herbert Chapman gradually adapted the "WM" formation that he had introduced when he first came to the club. Herbert Roberts was the centre-half who stayed in the penalty area to break down opposing attacks. Chapman used his full-backs, Eddie Hapgood and Tom Parker, to mark the wingers. This job had previously been done by the wing-halves, who now concentrated on looking after the inside-forwards. Bob John and Alf Baker were the men he used in these positions. Dan Lewis was the goalkeeper in what became known as "defence-in-depth". The young George Male was often used if any of the full-backs or wing-halves were injured. Pulling the centre-half back left a gap in midfield and so Chapman needed a link man to pick up the ball from defence and to pass it on quickly to the attackers. This was the job of Alex James, who had the ability to make accurate long low passes to goalscoring forwards like Charle Jones, David Jack, Jimmy Brain, Joe Hulme, Cliff Bastin and Jack Lambert. Chapman told the other forwards to go fast, like "flying columns" and if possible to make for goal direct. Success was not immediate and Arsenal finished in 14th place in the 1929-30 season. Jones missed only three league games that season. They did much better in the FA Cup. Arsenal beat Birmingham City (1-0), Middlesbrough (2-0), West Ham United (3-0) and Hull City (1-0) to reach the final against Chapman's old club, Huddersfield Town. Unfortunately, he was not selected for this game. Herbert Chapman decided to move Jones to right-half for the 1930-31 season. 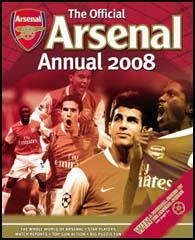 Arsenal won their first five matches and did not lose until the tenth game. Aston Villa took a narrow lead but in November, 1930, Arsenal beat them 5-2 at Highbury with Cliff Bastin and David Jack scoring twice and Jack Lambert once. Sheffield Wednesday now went on a good run and for a while had a narrow lead over Arsenal. However, a 2-0 win over Wednesday in March took them to the top of the league. This was followed by victories over Grimsby Town (9-1) and Leicester City (7-2). 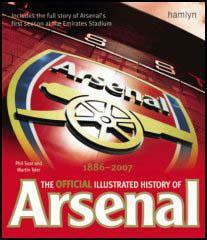 When Arsenal beat Liverpool 3-1 at Highbury they became the first southern club to win the First Division title. The Gunners won 28 games and lost only four and obtained 66 points, six more than the previous best total and seven more than their nearest rivals, Aston Villa. Jones won a second First Division championship medal when playing in 16 games in the 1932-33 season. Jones was even more important in the 1933-34 season when he played in 29 league games to win his third championship medal. Charlie Jones retired from football in the summer of 1934. He had scored seven goals in 71 league games for Arsenal. He was briefly manager of Notts County before becoming a successful businessman. Charlie Jones died in April 1966.